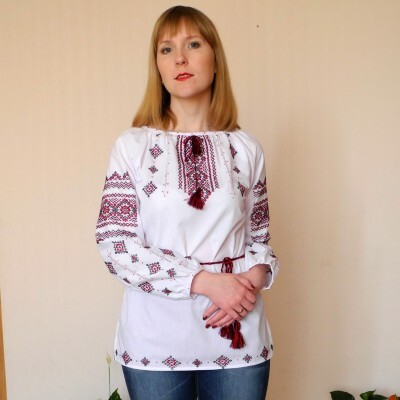 Collection of blouses for women with Ukrainian traditional HANDMADE embroidery. 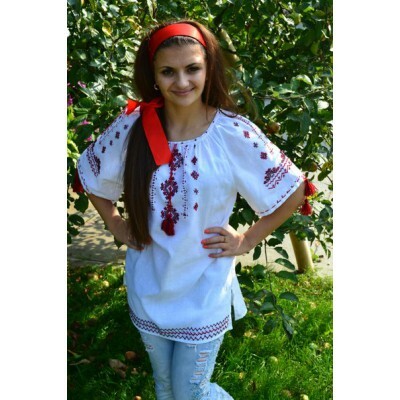 All models are made only of high quality 100% natural fabrics: cotton or linen. 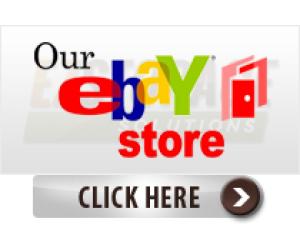 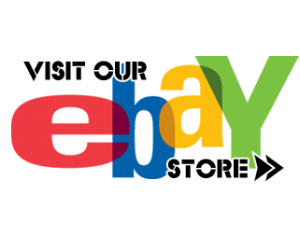 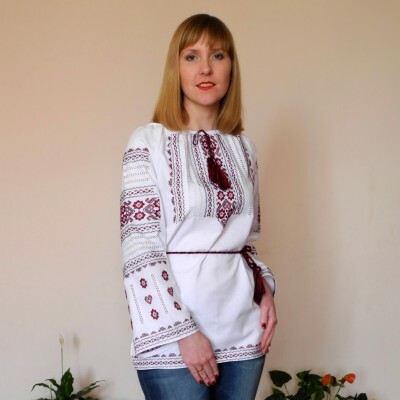 For ordering blouses You can give Your size from our size chart or provide us with Your measurements: circumference of bust, waist and hips for more exact fitting in case Your measurements are different than in size chart. 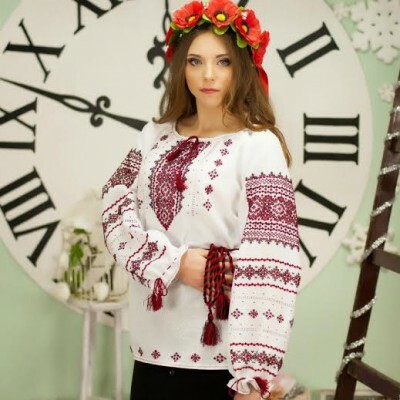 Ukrainian blouses are of lose fitting and they are worn with kraykas (woven belts) https://goo.gl/33GxrM or rope belts which are coming in complect with blouse. 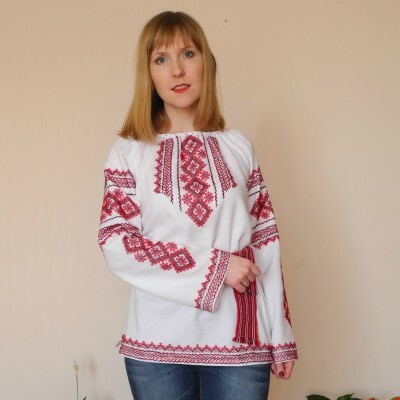 *Handmade embroidery*Special Ukrainian embroidered handmade blouse for women (vyshyvanka) with tradi.. 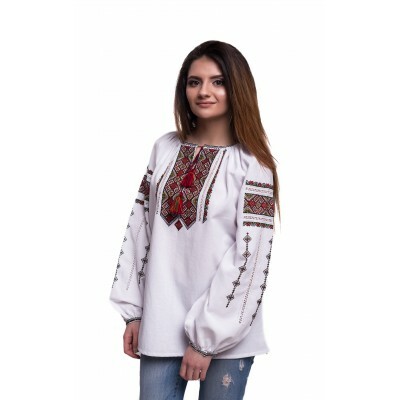 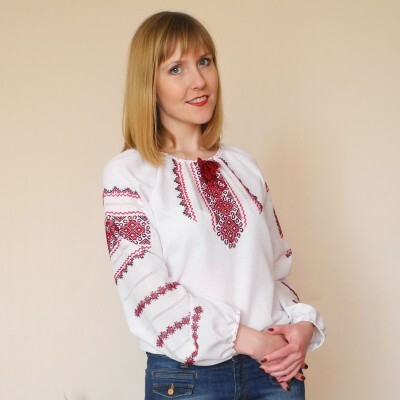 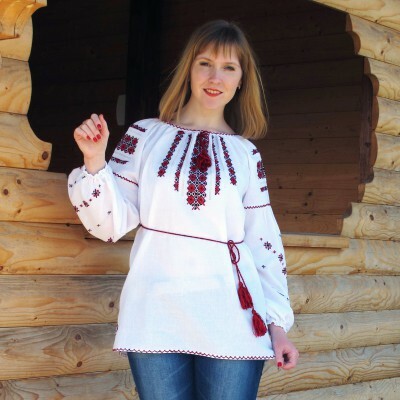 Handmade, hand embroidered, stitched as per Your measurements, ladies blouse with embroidery in trad..
*Handmade embroidery*Authentic Ukrainian blouse of very high quality with floral embroidery will hig..